Milo had reminded me that we hadnt made popsicles all summer, so we ended that dry spell right before summer escapes us! Well we have a heat wave now, so the timing couldnt have been more perfect. 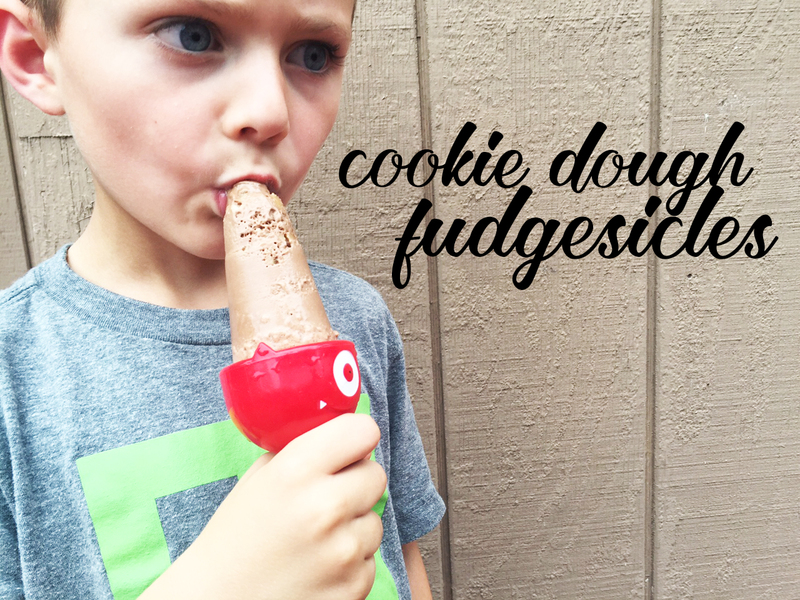 He wanted something chocolate – so we made these fudgesicles and they are delicious! 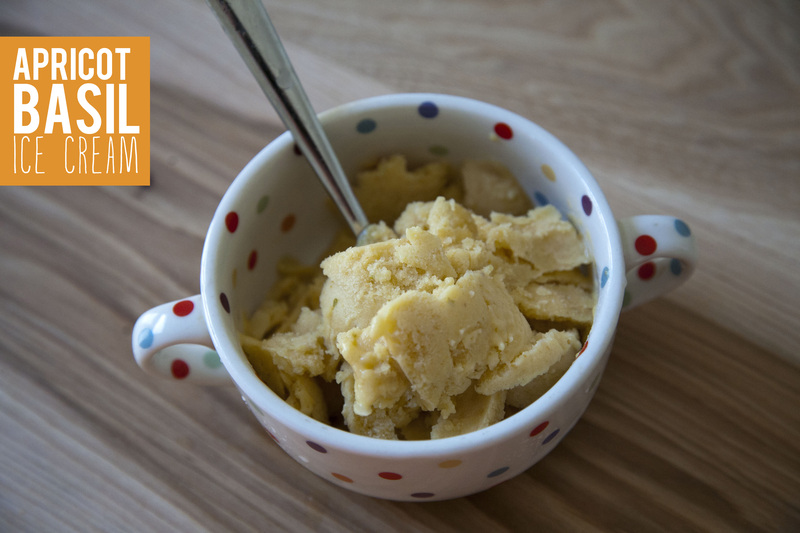 Make cookie dough by mixing together all the ingredients, except chocolate chips with an electric mixer. Stir in chocolate. Cover and chill until time to freeze popsicles. In a small saucepan combine the coconut milk, sugar, vanilla and chocolate over medium heat until chocolate is melted. Add peanut butter and strained cashews. I threw everything in the vitamix and blended. Crumble cookie dough between 10 popsicle molds. Pour fudgesicle liquid over it. Freeze over night. Run molds under warm water to remove. Since I start my day with a smoothie, around 10 am I’m ready for a little something- usually sweet. I like to make healthy muffins because they satisfy a sweet craving, and usually keep me sustained until lunch. I tend to look for muffins that are low in sugar, and try to substitute healthy flours and fruits to make them worth my while. They are a great breakfast treat for milo too. I found the recipe for some bran muffins here. Then I customized them to make them vegan. You can add any kind of fruit, or even use spelt flour if you wanted to stay away from white flour. 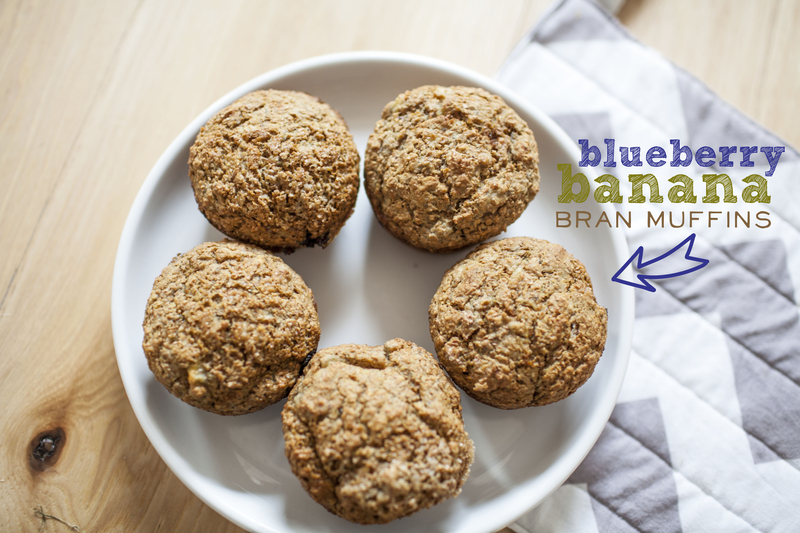 Spelt flour is my favorite to add to muffins! Heat oven to 425 degrees F and coat a 12-cup muffin tin with nonstick spray. Whisk almond milk, flax, oil (or oil and apple sauce), and mashed banana and coconut palm sugar in a bowl. Whisk bran, flour, baking powder, baking soda and salt in a large bowl. Stir wet mixture into dry until just combined and still a bit rough. Spoon two 2 tablespoons of batter into each prepared muffin cup. Add about 3-4 blue berries to each muffin and sprinkle each with one of the teaspoons of granulated sugar (1 tspn divided over the 12 muffins). Spoon remaining batter (about 1 tablespoon each) over fruit and sprinkle tops of muffins with remaining teaspoon of granulated sugar. Bake muffins for a total of 16 to 18 minutes. 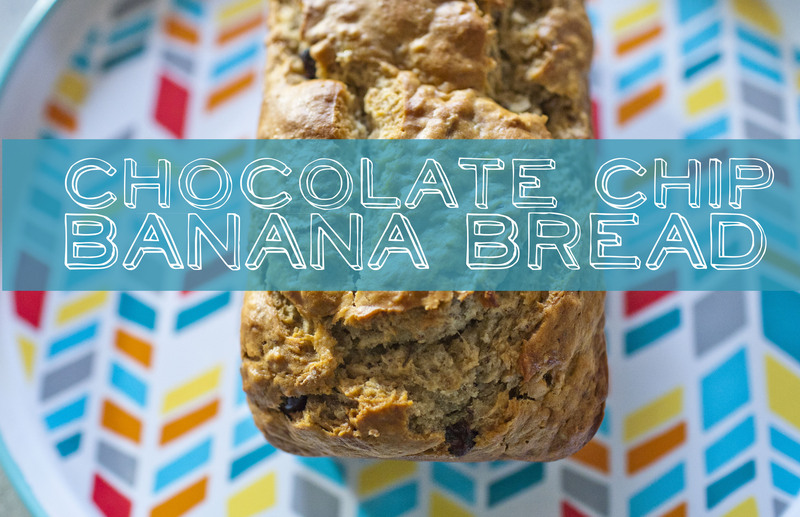 331. chocolate chip banana bread. This turned out to be a giant banana bread, but good thing, because it was so so good! I’m not one to usually add chocolate chips to my banana bread, but I’m glad I did. The recipe is from Vegan Diner. That book has yet to fail me. Everything I have made is so delicious! Since toddlers ignore the time change, we are all up extra early over here. That only means we should use that time to make some waffles this morning. 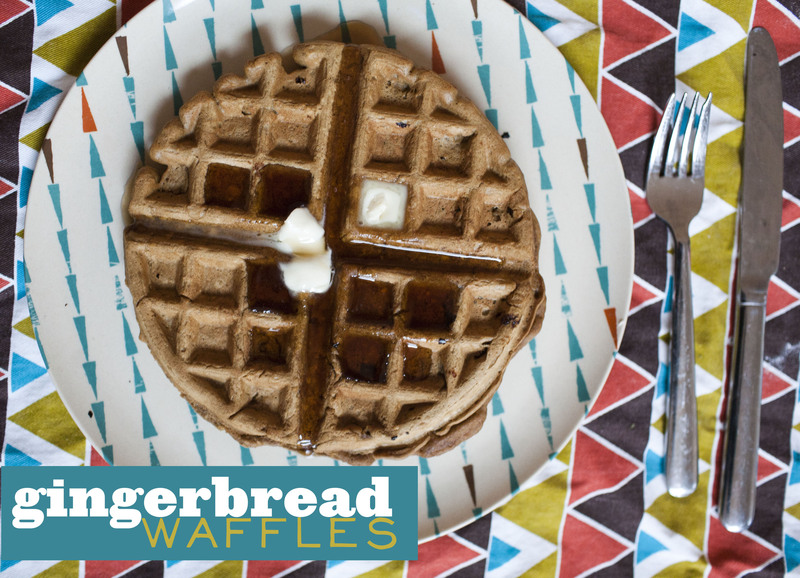 Milo was pretty stoked at the idea of gingerbread waffles. He thinks there are gingerbread cookies in the waffles. These are a great for autumn/winter breakfasts! The recipe is from vegan brunch. Mix the almond milk, vinegar, oil, molasses, brown sugar and vanilla together until incorporated. Add the dry ingredients and mix until combined. Cook according to your waffle iron instructions and enjoy! 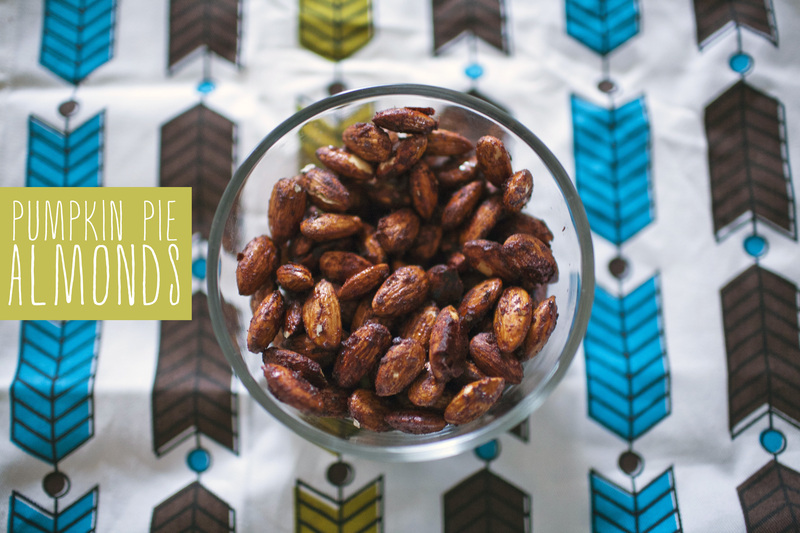 These are so easy to make…and so addictive. mix it all together and spread on a lined baking sheet and bake at 325 degrees for 20 minutes. Let cool and enjoy! 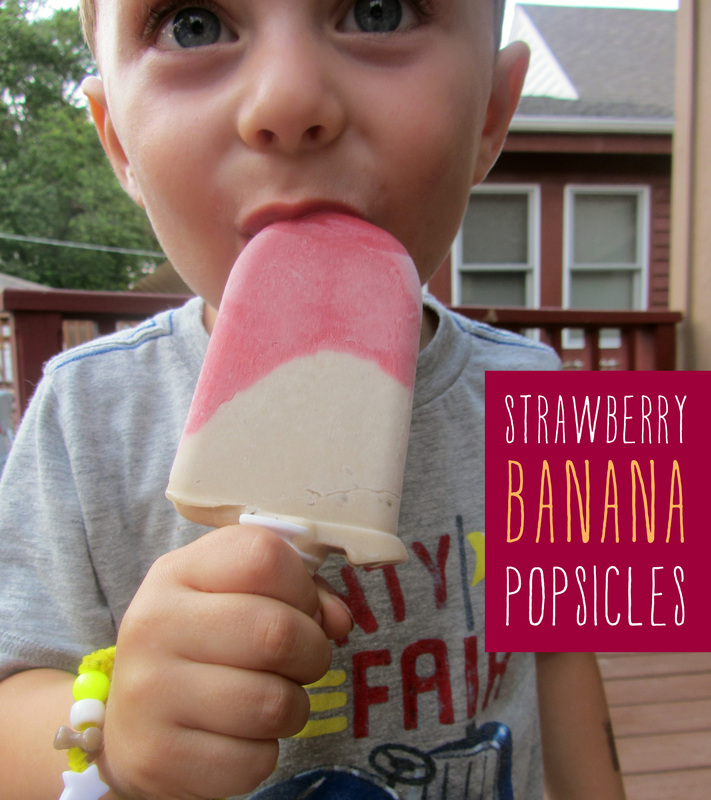 Took another stab at making popsicles with the zoku maker…Good stuff! 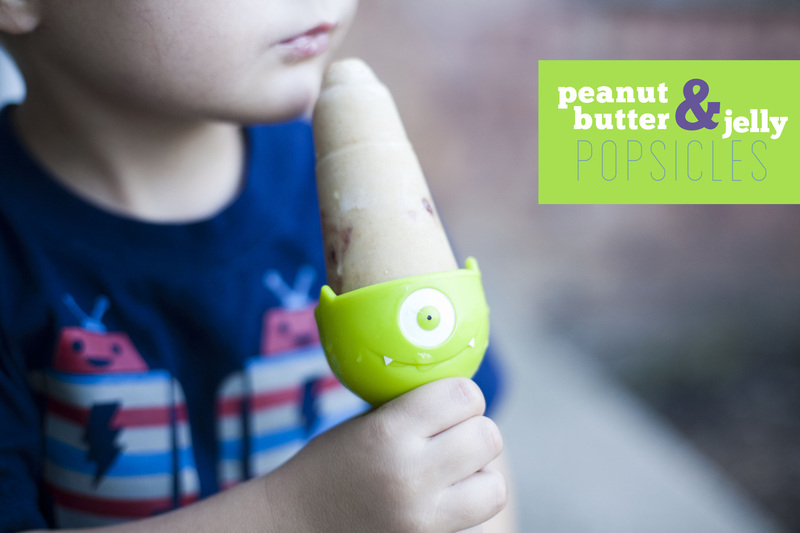 212. peanut butter and jelly popsicles. Inspired by a few posts I saw on the internet, I made peanut butter and jelly popsicles! My popsicle molds are kind of big, so this only made two. blend the first three ingredients and then swirl in jam. Or blend first three ingredients, spoon some into popsicle molds, and add dabs of jam. Freeze and serve. 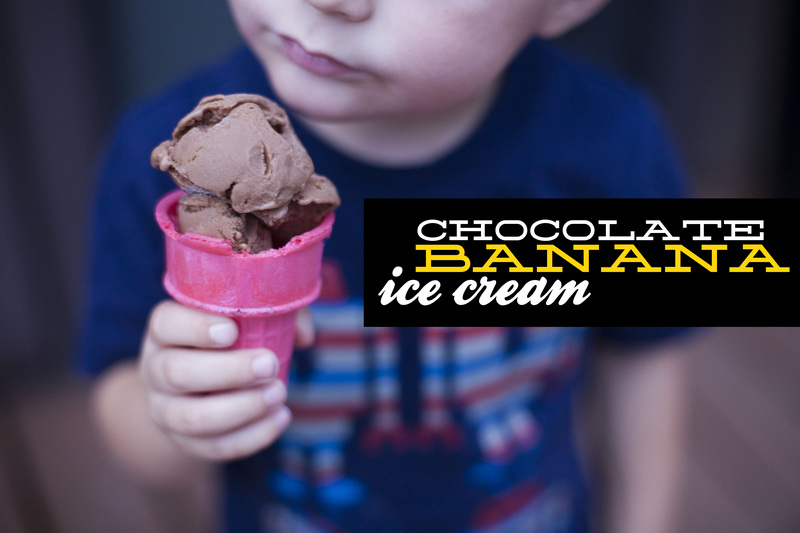 206. chocolate banana ice cream. This time I got it right. Vegan chocolate banana ice cream. Yum. The recipe is from vegan scoop. I just combined the banana recipe and the chocolate recipe. Cant wait to eat this in a bowl with some peanut butter too! Tonight we opted for cones. 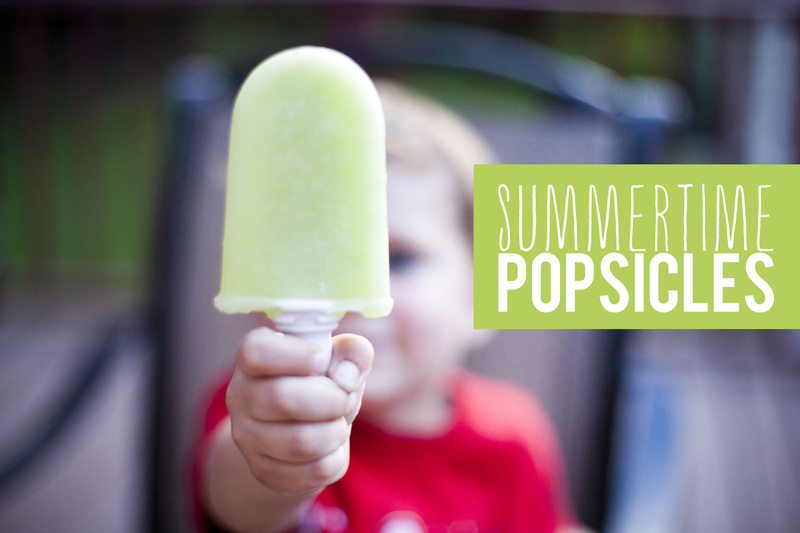 Great summer treat for sure. 198. apricot basil ice cream. I finally broke out my kitchen aid ice cream maker and made a batch of apricot basil ice cream. I adapted a recipe from vegan scoop. The ice cream bowl had been in the freezer for about two months, but of course when I wanted to make ice cream, somehow the freezer door was open the night before, and the bowl wasn’t totally frozen I guess. So the texture came out pretty icey instead of creamy. Thats ok. Ill try again. And I saved this bowl of ice cream by adding some almond milk and making a milk shake. Ice cream making will hit again!